Ben’s parents were assassinated and she ends up as a charge of Queen Sophia, who is determined to shape Ben into the image of proper royalty. This means diets, dancing, needlework, and genteel conversation, and Ben wants none of it. As a result of her truculence, Ben is relegated to a locked tower. Rather than give in to despair or decide to comply meekly, she begins teaching herself magic. At night, she practices her craft, trying to gain enough skill to escape. Her secret lessons are put into use when the kingdom is threatened by a neighboring country, and the fate of the nation rests on her knowledge and skills. Furthermore, Ben discusses her marriage with the most straightforward feminist speech that I’ve ever read in a young adult book, and I am so grateful to the author for it! This book is a treasure: it strikes the right balance of magical fairy tale elements, well-rounded characters, and creative plotting, and the message it sends about beauty and self-reliance is refreshing. Look for dragons, political intrigue, a hilarious commentary on the odiferous nature of adventures, and a reversal of the kiss-the-unconscious-princess-and-love-will-wake-her-up trope. Though Ben does seem overwhelmingly, unilaterally grumpy and spoiled in the first sections of the book, she develops into a multifaceted, realistic character in the second half of the book, and it’s worth pushing through the crankiness. Final awesome thing? 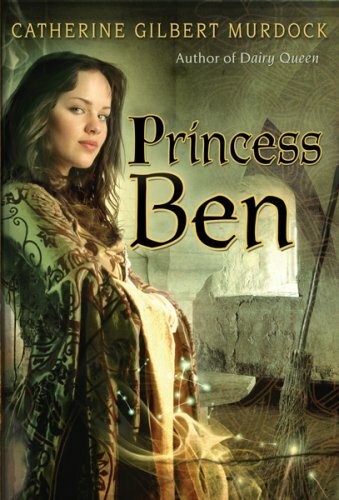 The full title of the book: Princess Ben: Being a Wholly Truthful Account of her Various Discoveries and Misadventures, Recounted to the Best of her Recollection, in Four Parts. Murdock, Catherine Gilbert. Princess Ben. Houghton Mifflin: Boston, 2008. 344 pp. Ages 14-18. If you liked this book, I think you’d love the graphic novel Castle Waiting, for the strong feminist message. If graphic novels aren’t your thing, though, you would probably like Beauty, Fairest, Ever, or Ella Enchanted. There are so many good books out there for readers who love fairy tales, but are disheartened by the beauty myth present in so often in them! Posted on May 15, 2012 by ShannaPosted in Fairy Tales, Fantasy, YA LitTagged fairy tale, fairy tale retelling, feminist, magic, orphan, strong female character.